Representatives of IPR Prague’s Triangulum team participated in the kick-off meeting of the Platform of Social Live Science on 19 June. 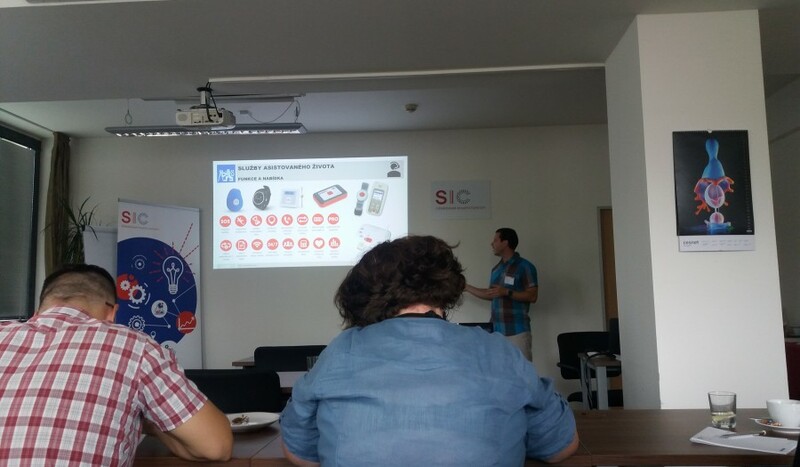 The meeting focused on “Innovations in home care services” and was launched by the Central Bohemian Innovation Centre who is the coordinator of the platform and located in Dolní Břežany (south of Prague). The aim of the platform is to strengthen the cooperation between stakeholders connected to the topic of innovative social home care and to discuss innovative solutions on different levels. During the meeting, several representatives from different institutions presented their approaches for innovative social home care. 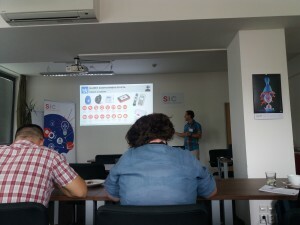 For instance, Vít Janovsky from the University Centre for Energy Efficiency (UCEEB) presented ideas for smart home care in Prague 7 which are the outcomes of the feasibility study that was conducted within the framework of the Triangulum project. At a short workshop session, relevant questions were discussed. In addition to UCEEB, other social, health and scientific experts, which were familiar to IPR Prague’s representatives because of local Triangulum workshops, participated in the kick-off meeting as well. The idea behind the meeting was to start a discussion about problems, solutions and challenges of integrated care and to introduce the participants to the environment of innovative approaches for use of integrated health and social care. The focus was on providing support to elderly people using new innovative technologies. The result of the kick-off meeting was a fruitful discussion about the pressing issue of integrated care and services like data sharing platforms which shall be implemented in the future with the help of innovative solutions. In addition, the dialogue with local experts will proceed. 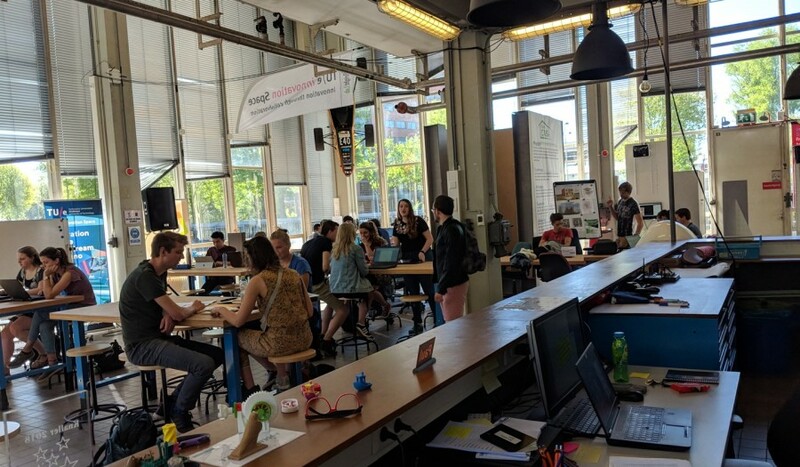 From 15 – 19 July, a course on prototyping in health, sport and urban innovation sectors, called Summer Crash Course, took place in Sabadell (Mediaestruch) and Eindhoven (Innovation Space of the TUE) at the same time. 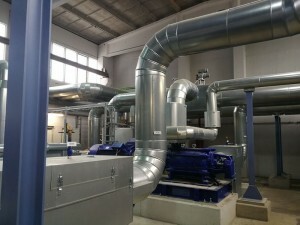 The Technology University of Eindhoven (TUE) made this synchronicity possible via a telematic connection. The course focused on the first phase of prototyping in health, sport and urban innovation sectors, for 4 out of 16 ideas/challenges proposed by the City Council of Sabadell to the TUE: green mobility at schools, care of the elderly, urban digital modelling in 3D and public lighting. 15 Eindhoven and Sabadell students participated in the course, with the presence of students from the Smart and Sustainable Cities programme from the Autonomous University of Barcelona (UAB), from the Technology University of Eindhoven and from the University of Utrecht. Green mobility at schools: GPS-monitoring of students (integrated into a vest) on their way to or from school in order to increase the safety perception of their families. Elderly care: Video call and sensoring system for the periodic monitoring of chronic patients, thus decongesting the primary care centres of Sabadell (CAPs). This course was aimed at students who have a special motivation to work in real projects and in international collaboration, and has helped them to better understand the dynamics of product development, from idea to proof of concept, prototyping and production. The format of the campus has been “informal”, in an inspiring framework like the “Estruch” arts centre. Once the course has finished, for those ideas/challenges that have been analysed as viable, the prototyping process will continue with the students. The goal is, that, in the medium term, they will end up creating commercial products. 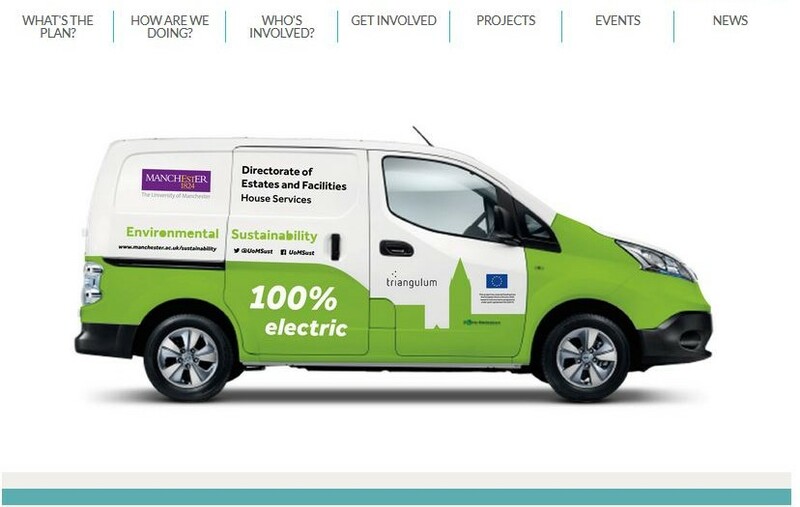 The Manchester Climate Change Agency (MCCA) have recently launched their new website. The website includes a Triangulum page and a link to the Triangulum website and YouTube channel. Manchester is a city committed to action on climate change. 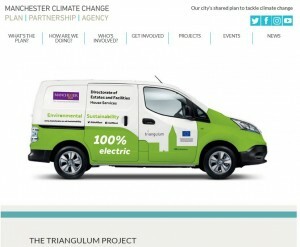 In January 2016, just one month after the Paris Agreement, they developed the Manchester Climate Change Strategy committing the city to ‘become zero carbon by 2050’ through working in partnership on projects such as Triangulum, GrowGreen and Our Faith Our Planet. MCCA recently held their conference (introduced by Manchester City Council’s Leader, Sir Richard Leese) on 17 July at the Royal Exchange Theatre in Manchester and discussed the development of a new carbon reduction target for Manchester. On 24 and 25 May 2018, the 68. 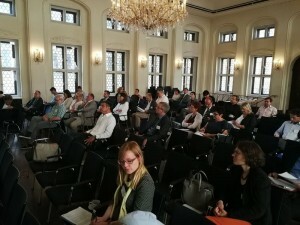 URBAN-Netzwerktagung, an exchange platform for German and Austrian cities, took place in Leipzig, Germany. Stakeholders from different cities presented their individual approaches for a city between technological progress and social cohesion. The focus was on the question of how technological progress in the growing city and social issues can be combined. Around 40 participants were involved in the discussion, also addressing further questions about different projects and strategies like housing, energy and funding opportunities. 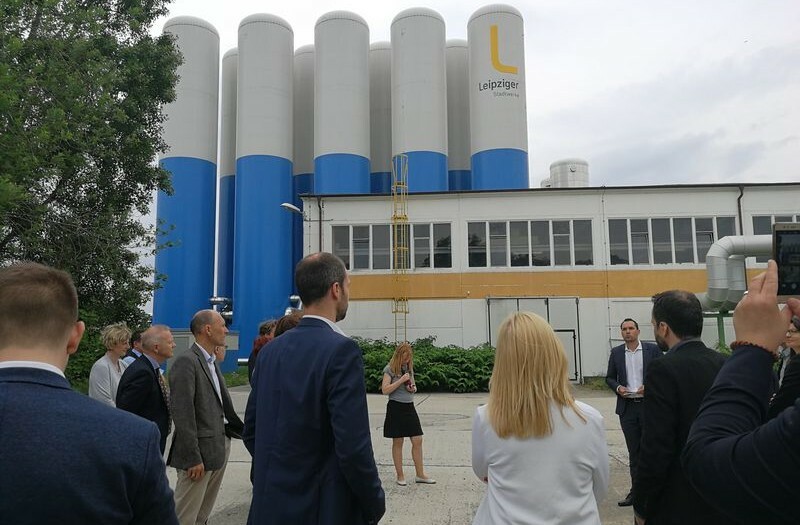 The conference ended with a visit of the thermal storage system of the Stadtwerke Leipzig and the mobility stations of the Leipziger Verkehrsbetriebe as crucial and functioning examples for smart infrastructures in the growing city. 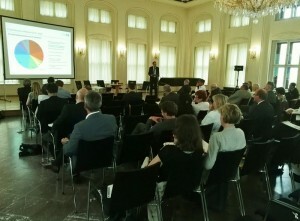 The annual conference of Major Cities of Europe (MCE) took place in Leipzig, Germany from 28 – 30 May. It has been organized and hosted by the MCE organization in close cooperation with the City of Leipzig and the municipal IT supplier LECOS GmbH. Under the headline “Are we ready? 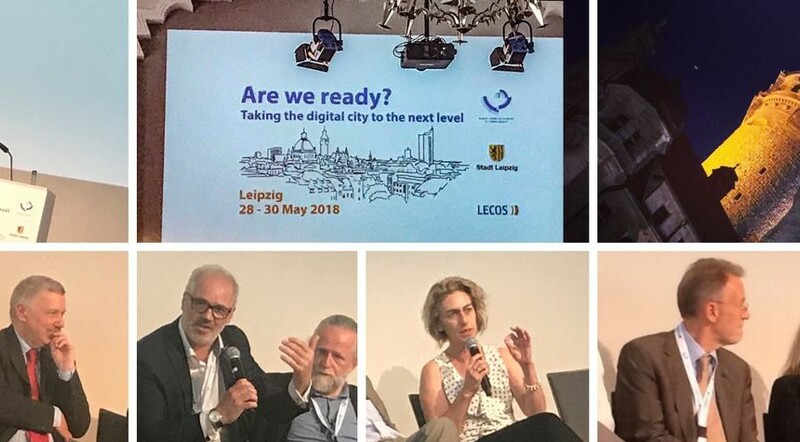 Taking the digital city to the next level”, multiple leaders, stakeholders and experts from across Europe came together for exchange. Different sessions with a variety of formats took place with topics ranging from open and big data to digital government in practice and required skills for digitization in governmental structures. The Major Cities of Europe conference has been a great success for the organization and for Leipzig, with close to 200 delegates from 18 countries who unanimously gave a very positive feedback. Earlier this year, Ettore Murabito from the University of Manchester was contacted by Reina Yaidoo via the Triangulum Project’s Manchester-I.com. Reina Yaidoo is the host of Sanguine, a show broadcast by the local radio station North Manchester FM. Sanguine focuses on science, technology as well as social and health related issues of today’s life in the city of Manchester. Manchester is home to a number of smart-city projects (some supported by the EU, like Triangulum) that are reshaping the way people live. Reina had come across Triangulum’s Manchester-I.com website and became interested in the notion of establishing a city-scale data curation service, the rationale of such an initiative and its implications on the many aspects of urban development and citizens’ life. An interview was arranged that was aired on 9 May, in which Ettore was given the opportunity to talk about the work on the Manchester-I website and explain its context, providing information about some of the smart-city projects currently running in Manchester, including Triangulum and CityVerve. Listen to the interview yourself and hear Ettore talking about Triangulum’s Manchester-I website, how he became involved with the project and how Triangulum and similar smart city projects can have an impact on open data usage, inclusiveness & citizen engagement and city living. One goal of the Smart Mobility program on Strijp-S was to present better and more precise parking management information to visitors. Examples are reserved (licence plate) parking, a guided parking route and detailed parking information. By offering this new technology and related services, Strijp-S improved guidance and orientation in the area. By decreasing the time a visitor has to spend, e.g. on finding a parking spot, trips are made much more efficient which in turn leads to substantially less CO2 emissions. 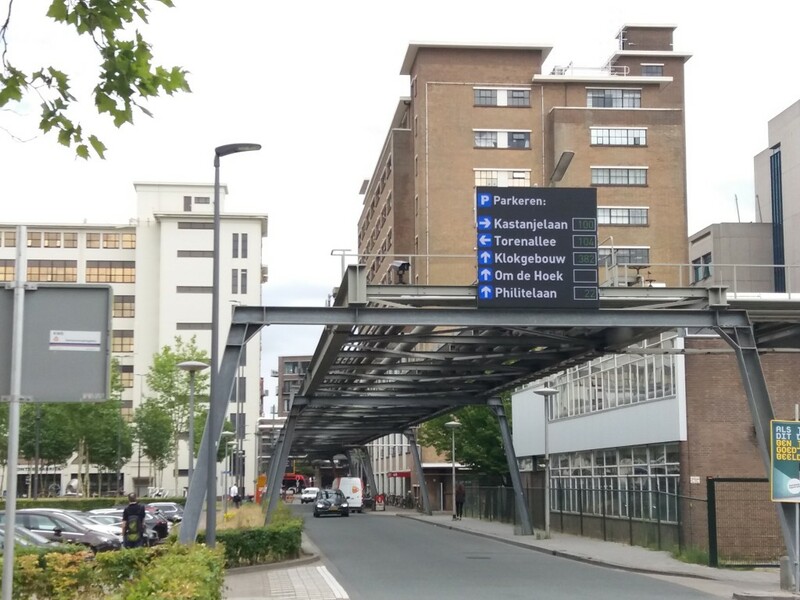 To improve the wayfinding to and then at Strijp-S, the parking hardware has been upgraded. With this upgraded system, a new information and park reservation and management software platform has been developed. Also, the integration of licence plate recognition and personal guidance via LED displays has been implemented. 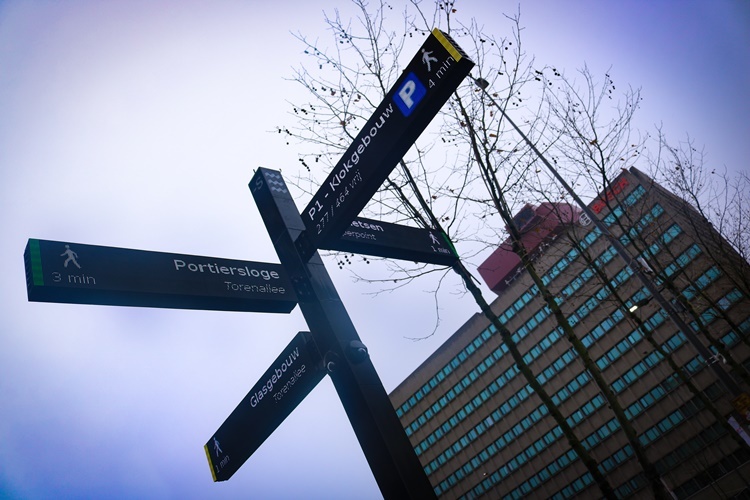 For pedestrians and cyclists, additional route location information has been provided via so called Wayfinders, each of which consists out of 8 interactive and programmable LED displays. Moreover, people can find points of interests and personal navigation tips via the smart mobility map (via website and app). 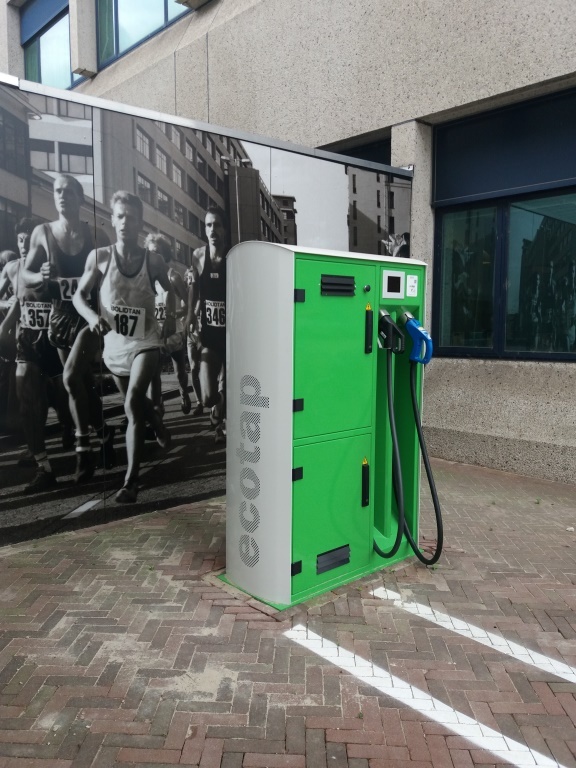 To improve the sharing of green mobility solutions, new bikes with sharing options and car sharing solutions have been added at Strijp-S. To facilitate the increasing demand of charging points for electrical vehicles, a complete network of smart (fast) charging stations has been realised. 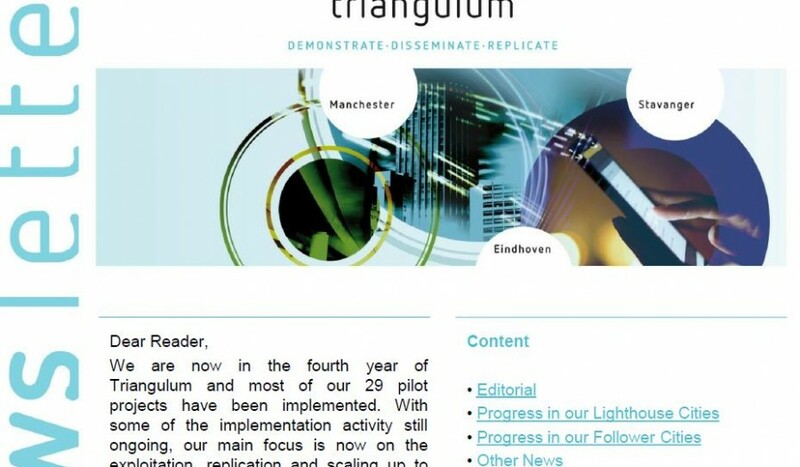 Triangulum’s eighth newsletter is online – updating you about the latest project activities.